Choosing the right criminal defense team may be be the most important decision you need to make in your life. And no defense team is complete with out an experienced and qualified Criminal Defense Investigator. 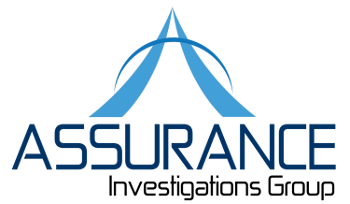 Here at Assurance Investigations Group we are committed to uncovering the truth, defending those who stand wrongfully accused of a crime, and helping innocent people avoid condemnation and subsequent legal reprisals. While all criminal cases do not require the services of a professional investigator, in those that do, the investigator is one of the most important members of the defense team. And if you believe you deserve the the best team then Assurance Investigations Group is for you. The investigator has several different, but equally important functions in preparing for an effective defense to the government’s charges. Assurance Investigations Group investigative staff of former law enforcement officers have the knowledge, skills, experience and training to provide professional criminal defense investigations. One of the first things that the investigator must do is to verify and validate the investigation conducted by law enforcement officers and agencies. Far too often, police identify a suspect and then seek to build a prosecution case against that individual. In doing this, they sometimes slant information or cast information in the light most harmful to the defendant, ignoring other possible suspects. A criminal defense investigator will review the police investigation and re-interview witnesses to find changes in their stories and to develop new and independent leads. Seeking out new and unidentified witnesses is just as vital in preparing the defense case. These new witnesses often provide information that contradicts the “facts” upon which the prosecution is basing its case. Having the ability to properly evaluate witnesses both as to their truthfulness and veracity, as well as the image that they will convey to a jury should they be called upon to testify. This often requires the investigator to learn about each witness in order to discover if there is anything in their personal background and/or their physical or mental condition that can be used effectively either to bolster or attack their testimony. To accomplish this effectively, the investigator must have the training and experience allowing him to recognize where any law enforcement errors or omissions have occurred and to assure that all proper procedures were followed during the police investigation. The investigator must talk to each witness, review all the evidence (physical, verbal, video/photographic, etc) that was accumulated by the prosecution. In conducting witness interviews, the investigator must have the knowledge, skills and abilities to do effective interviews. This means that the investigator must be knowledgeable about the case and skilled in interviewing techniques and methodologies. These “Defense” interviews must also be correctly and totally recorded without bias in order to provide accurate and complete information to the Defense Counsel. In this respect the investigator must have the ability to write clearly and have the ability to exclude personal opinions from his interview reports. While an investigator is not expected to be an all knowing, omnipotent person, his experience should have provided him with a broad knowledge base. For example, he must have some knowledge of serums and blood stains, human anatomy, ballistics, firearms and forensics. He must also understand crime scene reconstruction, photography and evidence collection procedures. In addition, a good investigator will also know how to conduct research, locate governmental records, utilize computers and will have a working knowledge of criminal law and procedures. The Assurance Investigations Group investigators also know and follow high ethical standards in all of their activities. This knowledge must also include an understanding of the Legal Canons of Ethics and how the investigator’s actions may impact upon the attorney for whom he is working. Again, here at Assurance Investigations Group we are committed to uncovering the truth, defending those who stand wrongfully accused of a crime, and helping innocent people avoid condemnation and subsequent legal reprisals.